Been traveling much lately. This month it was Italian Vogue, Russian Vogue, Flaunt magazine, The Ground and some others that I’m not ‘sposed to mention. the Gravure magazine shoot I did with Diego Uchitel is just out. Incessantly collecting (and using) old school hairstyling tools. They don’t make rollers like these anymore. These metal ones are from the early 40s. 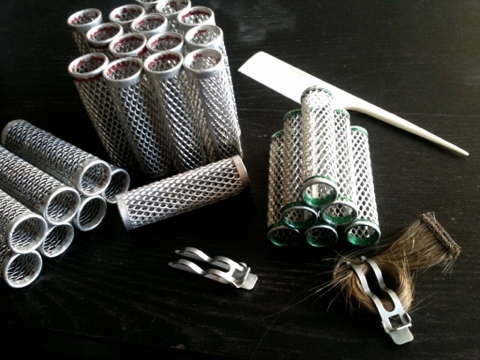 They retain heat and transmit it into the hair long after you take them out of the dryer, making for a tighter curl. Their mesh construction renders them unsuitable for fine bleached hair, as they will leave dents. But perfect for thick, virgin hair. 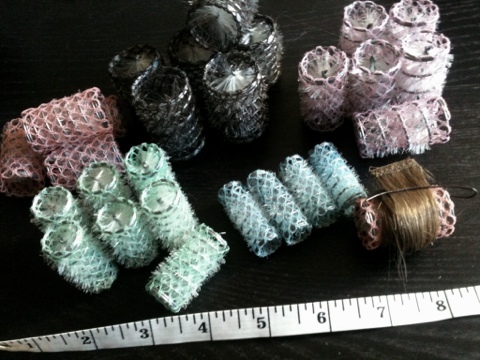 The spring coil ones, are in such rare small sizes, perfect for sideburns, baby hair, nape curls and for sneaking them between large ones where needed. These bad girls have just arrived, to join an army of long forgotten, strange old (very useful) curlers in my arsenal of old tools. 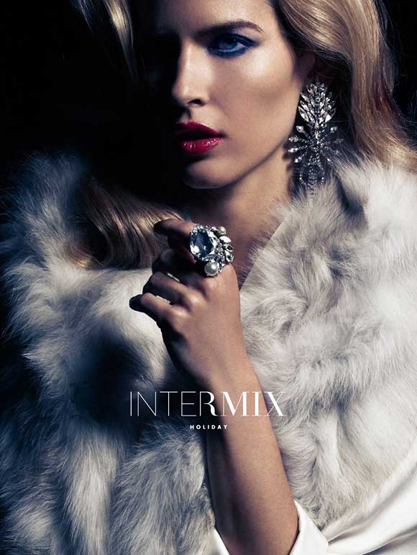 The Intermix holiday lookbook I did, just came out. 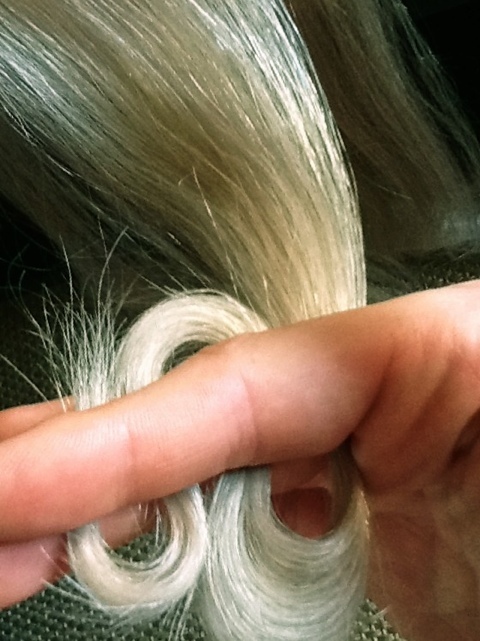 Nothing soothes me like touching old, brittle, destroyed hair. was off doing an Australian movie for a few weeks, then back to NY for shoots, then to Miami for Vogue Italia, then back to NY. It snowed too <3.